My sweet babes exploring the beauty of God's creation! They are too cute and the light is so pretty! Love the beautiful setting too! This is beautiful! Your babies are beautiful! 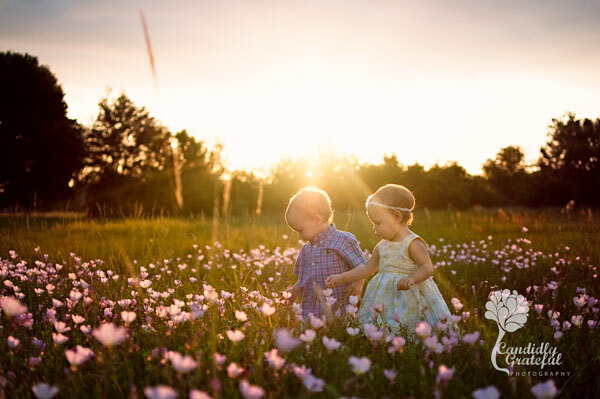 What a beautiful photo.. the light, the flowers and of course the little ones! lovely! Beautiful! I love the light in this shot! omg omg this is amazing, my favorite so far!!!! Oh WOW! What a beautiful image! Love the lighting! What a stunning and beautiful image! I love the lighting, and your two little ones are so adorable among the flowers!